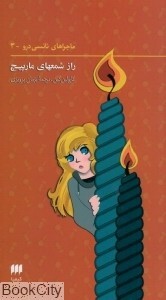 Around the World with Nancy Drew: Another language added to the lexicon: Farsi! Another language added to the lexicon: Farsi! I've been sitting on an exciting announcement about another language that we can add to the lexicon of foreign edition Nancy Drews: Farsi (or Persian as it is often called) - this brings our count to 30 (or 31 if you count the Queen's English as a "translation"). I did not want to broadcast my findings until I had some editions in my possession to confirm their identity as Nancys, and I finally received some this week. The copyright page does definitively state the original title of Old Clock and the author as Carolyn Keene - yippeeeeee! When I first saw an image of these editions (on Instagram of all places) I initially thought they were Arabic based on the lettering. But after trying to get a coherent translation of the book's title from Google, the site helpfully "detected" that the phrases were in Farsi, not Arabic. Suddenly the titles such as Black Key Riddle and Curved Chimney began to make sense. 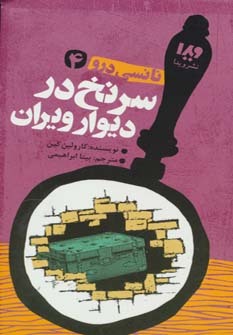 Once I had unlocked the mystery of the Farsi titles I was able to explore deeper into what editions were available. Currently there appear to be 2 publishers that have Nancy titles on the market: 6 from Vida and 16 from Hermes. So far I have only been able to get copies of the Vida titles, so if anyone has any Iranian friends who would like to help in acquiring the Hermes books, please contact me. There are also some miscellaneous older editions that appear to be "one off" printings but I don't know much about them at this time. It's been a little difficult to determine when exactly these were printed as there appears to be a different calendar system in Iran. My best guess is that the Vida books were released around 2014 and I am just not sure about the Hermes books. It's so exciting to know that there are still foreign edition Nancys to discover ... and acquire!